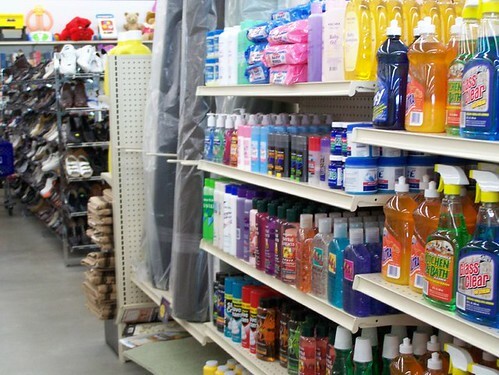 Brand name cleaners can cost big bucks. So how do you embrace cheap cleaning strategies when every product in the housecleaning aisle is outrageously overpriced? By thinking outside the box and using affordable basic ingredients. These are my favorite cheap cleaning items. All are affordable, and all are used regularly in our home. Routinely overlooked as a house-cleaning supply, bar soap is extremely versatile. You can easily coat the bristle tips of a scrub brush with it, and give your shower stall the scrubbing of a lifetime. You can also use it with a cleaning rag just as easily as you can the traditional washcloth. Once your cleaning rag is properly coated with suds, it can be used to clean kitchen or bathroom counters, the interior of a refrigerator or grimy pantry canisters. With bargain brands available at three for a buck from your local dollar store, bar soap brings frugality to the household cleaning scene for a bargain-basement price of thirty-three cents per bar. For less than two dollars each at large box-chain hardware stores, you can purchase good-quality spray bottles. Using these as containers to hold make-your-own spray cleaners is an excellent cheap cleaning strategy. There are many recipes for homemade cleaning products available, but a simple one to get started with is a half and half solution of white vinegar and water, combined with a squirt of dish soap and a drop or two of your favorite essential oil. You can also create a number of homemade cleaning products with rubbing alcohol. Baking soda is the eight-hundred-pound gorilla in the cheap cleaning room. It can be used as a laundry booster, scouring powder, and refrigerator odor absorber among numerous other things. Baking soda can also be used to clean your teeth in a pinch, and can help remove product buildup in your hair when added in small amounts to your shampoo. While the price is best when purchased in bulk, baking soda is certainly affordable enough even when purchased in the traditional one-pound boxes. One of the most significant money-saving steps you can make as far as cheap cleaning strategies go, is to drastically reduce your use of paper towels. While we still keep them in the house, one roll tends to last at least two years. This is because we only use them for extreme jobs like a sick dog or something else that’s equally messy. The rest of the time, we use cut-up, old athletic socks for things like dish rags and dusting mitts. If bar soap is overlooked as a cheap cleaning supply, then liquid soap is equally underutilized. Liquid dish detergent can be used to make liquid disinfectant sprays, stain remover and inexpensive toilet bowl cleaners. Shampoo on the other hand can be used as a face cleaner, to hand wash delicates, and as a shower gel when stretching pennies between paychecks. As tempting as expensive brand-name cleaners can be, it doesn’t need to cost big bucks to keep your home sanitary. Cheap cleaning is possible with a variety of homemade products made with inexpensive ingredients. I do not have a comment! resolved as a result of your main website is a serious case, and the ones which could have adversely damaged my entire career if I had not discovered your blog. the whole lot was excellent. I am not sure what I would’ve done if I had not come upon such a subject like this. I can also at this point look forward to my future. Thanks for your time so much for this specialized and sensible guide. I will not think twice to recommend your web site to any person who would like guidelines on this situation.